Shannon B. Jones | Shannon B. Jones Law Group, Inc.
Shannon B. Jones graduated from the University of Southern California in 1987 with a Bachelor of Science degree in Public Administration. She was on the dean's honor roll for two years immediate prior to graduation. She also graduated from USC in 1990 with a Juris Doctor. She graduated at the top of her class, with an emphasis in real estate. She received recognition for a paper regarding the impact of the Endangered Species Act on real estate development, which was subsequently used for a discussion at the USC Real Estate Symposium. Upon graduation, Ms. Jones was employed by the litigation firm of Bowles & Verna in Walnut Creek, California, where she represented real estate brokerages and insurance companies. In 1993, she was employed by the international law firm of Sedgwick, Detert, Moran & Arnold in San Francisco, California. 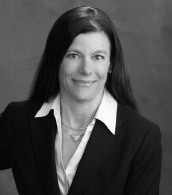 She continued to represent parties in real estate matters and broadened her practice to include business litigation, franchise-franchisor disputes, representing financial institutions, insurance companies and employment law. While at Sedgwick, she successfully defended a group of insurance companies who were sued for $125 million. In 1998, Ms. Jones started the Law Offices of Shannon B. Jones, which subsequently became the Shannon B. Jones Law Group, Inc. Ms. Jones specializes in representing real estate agents and brokers throughout California, as well as contractors, subcontractors, developers and other landowners. She also represents businesses in formation and litigation. Ms. Jones has published the best-selling real estate book, "A Real Estate Agent's Practical Guide to Avoiding Litigation." She has published monthly articles for a number of magazines, including CCAR Today, Broker Agent Magazine and a number of other magazines across the country. She is a certified instructor by the California Bureau of Real Estate and Graduate Real Estate Institute. She is a frequent speaker before the California Association of Realtors, as well as many other local associations. Ms. Jones spends her personal time with her family, particularly attending her sons' sporting events, including football, baseball, and roping. She also rides jumpers competitively. She takes a personal interest in community services, including supporting the Bay Area Crisis Nursery, Contra Costa Food Bank, local schools and the San Ramon Valley T-Bird organization. She is also active in the Danville Area Chamber of Commerce and has served as the chairperson for the Danville Tree Lighting. Original Member, California Association of Realtors ("CAR") Strategic Defense Panel. Certified Instructor by California Bureau of Real Estate. Regular Presenter, CAR Legal Affairs Forum. Regular Presenter, CAR Risk Management Meetings. Key Note Speaker at the San Diego Association of Realtor's Expo. Presenter, Tri-Annual Contra Costa Association of Realtors Risk Management Seminars, 2005-Present. and numerous real estate brokerages and organizations.